White arrow points to A-(D-AL). Plate 1 Figure 1b in Funakawa, 1995. 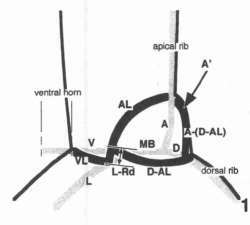 Arrow 1 points to A which forms a long apical rib, 2 to V which forms a fine ventral horn. Plate 1 Figure 1a in Funakawa, 1995. White arrows point to downward projections on the underside of L, black arrows to lateral projections on A. Plate 1 Figure 1c in Funakawa, 1995. 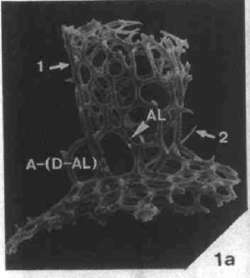 Arrows 1 point to AL, 2 to A-(D-AL), 3 to A which forms a short apical horn. Plate 1 Figure 3a in Funakawa,1995. Enlargement from dorsal to right lateral side for internal skeletal structure. 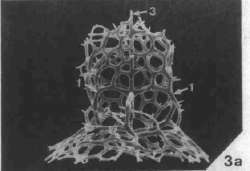 Plate 54 Figure 1 in Petrushevskaya, 1971 as Amphiplecta sp. 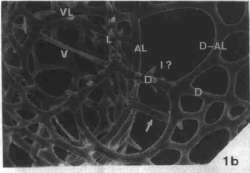 Schematic diagrams of internal skeletal structure of Amphiplecta tripleura. Left lateral view. 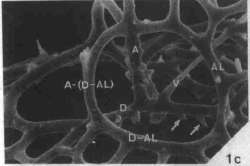 Gray elements are internal spicules and black elements are connecting arches. Text-Figure 5 (1) in Funakawa, 1995. 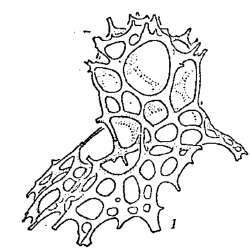 Schematic diagrams of internal skeletal structure of Amphiplecta tripleura. Basal view. 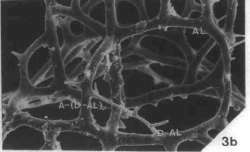 Gray elements are internal spicules and black elements are connecting arches. 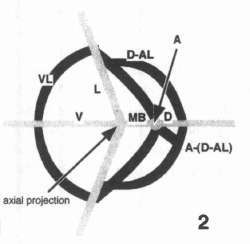 Text-Figure 5 (2) in Funakawa, 1995. 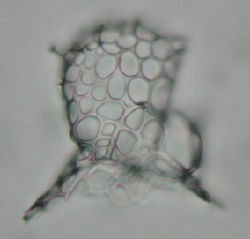 Early Miocene; Cycladophora golli regipileus Zone. 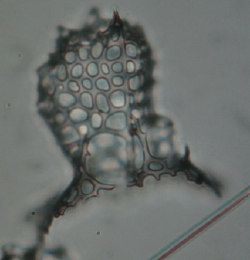 Middle Miocene; Cycladophora spongothorax Zone. 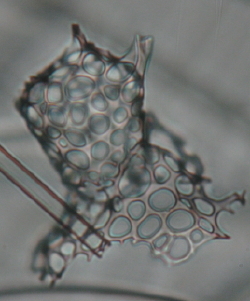 Early Miocene; Stylosphaera radiosa Zone.